Saccharine: The Holidays are coming! We were at Rockwell Powerplant Mall this weekend to support friends who joined the Global Pinoy Bazaar. 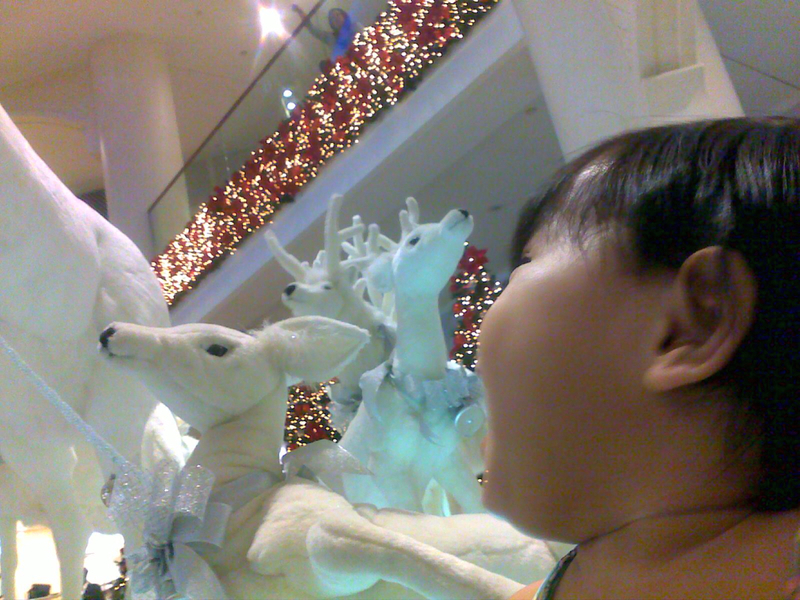 I was excited to bring little moon there because I heard the mall had an amazing Christmas display. We weren't disappointed. 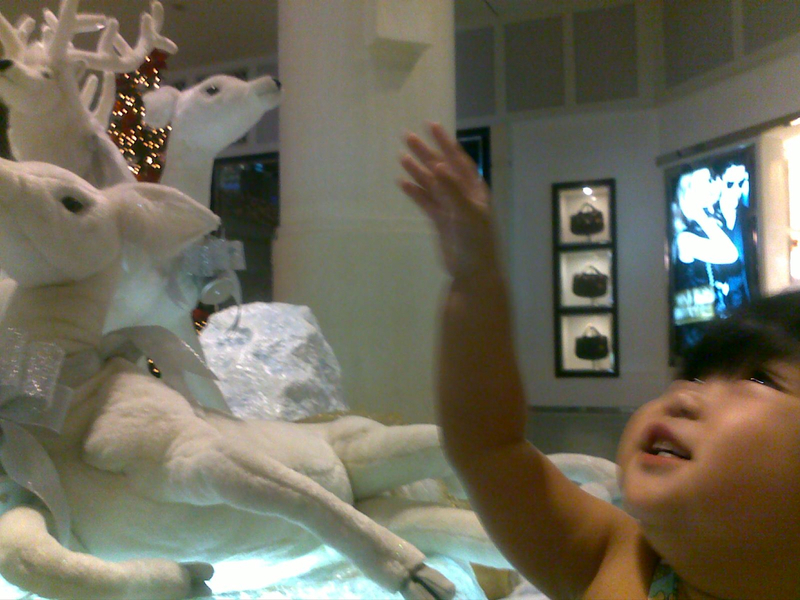 There were huge white reindeers and a sleigh by the fountain. My precious daughter was ecstatic. Even more so her mom and dad - seeing those oriental eyes sparkle and that tiny face crinkle up in a smile is the sweetest thing. Her daddy and I wished we had a better camera to capture these magical moments. 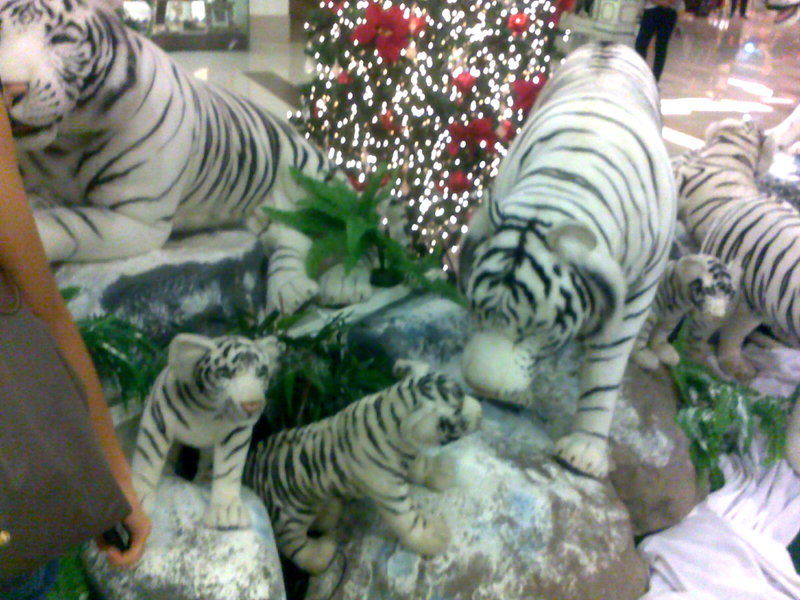 I took these with my crappy camera phone. Missed a lot of big toothy smiles, but I'm glad I captured these shots, however grainy they may be. 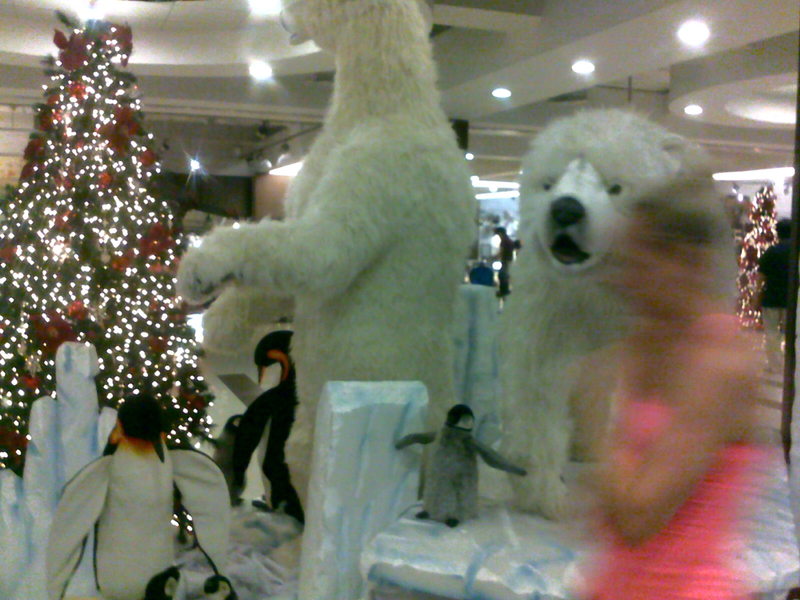 There were pandas, tigers, polar bears, and penguins on the other side of the mall too. Ally was scared of the tigers and bears. 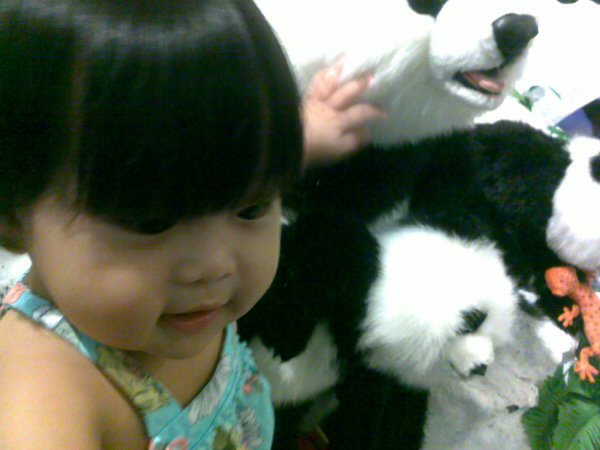 I couldn't blame her - the polar bears were humongous. It looked like they were going to eat you, what with their moving heads and all. I was creeped out too. Teehee. 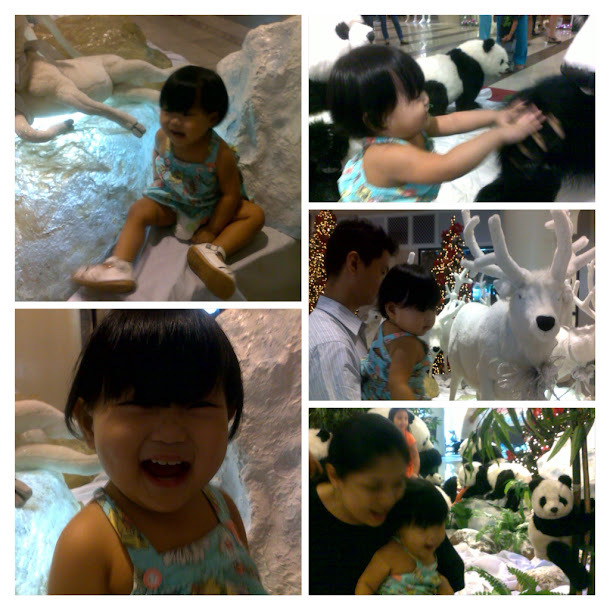 But she adored those reindeers and baby pandas. We're definitely going back there soon. I want to hear her babble and squeal excitedly again! I love being a mom!